With this new glitch, relying on the Grappler to get you out of the Fortnite Storm may not be the best idea. First introduced to Fortnite: Battle Royale back in September of 2018, the Grappler quickly became a hit with community members for its ability to easily transport players to different positions. Having the opportunity to swiftly gain a height advantage over an enemy or escape an engagement is crucial to survival. Having a Grappler handy can be quite the game-changer, especially in high-intensity situations. 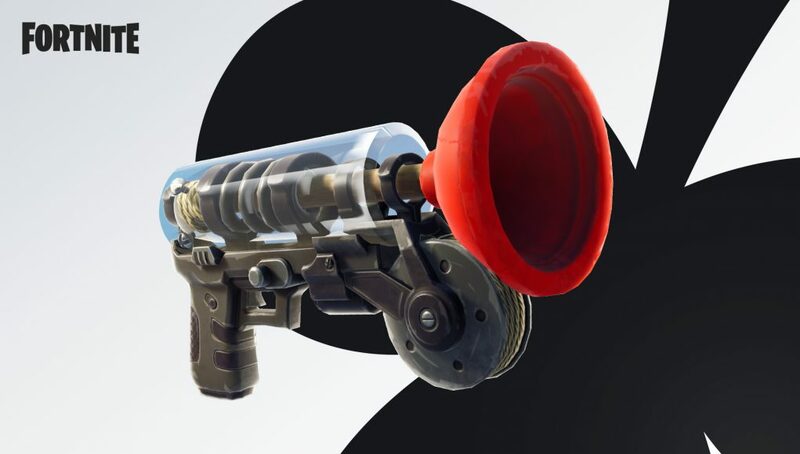 However, it appears that a bug is causing the Grappler to fire without actually sticking to the target or propelling players in the respective direction. The glitch was put on display perfectly while popular streamer Nicholas ‘Nick Eh 30’ Amyoony attempted to get out of the storm using the Grappler, but was unsuccessful. Although some Fortnite players may have witnessed the Grappler bug for the first time in Nick’s clip, others mentioned that they have experienced the bug a few weeks prior. Regardless of when players have encountered the issue, no formal announcement has been released by Epic Games at the time of writing concerning a fix. We will continue to provide updates on the Grappler bug as they are made available.